The road into the Two Medicine area of Glacier National Park preceeded the Going to the Sun Road and is a relatively quiet area of the Park. Mt. Sinopah in the background and jeweled stones in the foreground. 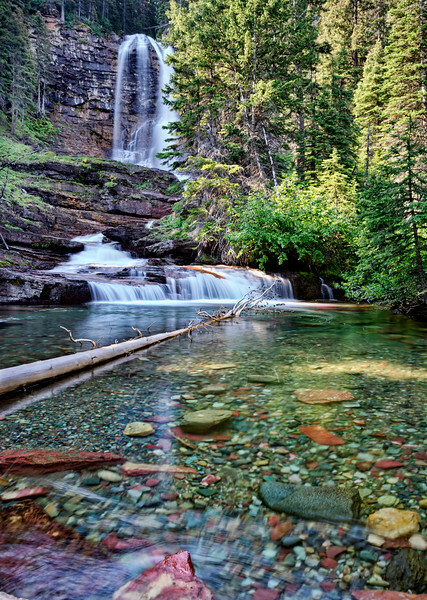 This was taken on the Trail of the Cedars in Glacier National Park. I was on a rock below the bridge (scary) which was a good spot to set up a tripod for a long exposure. 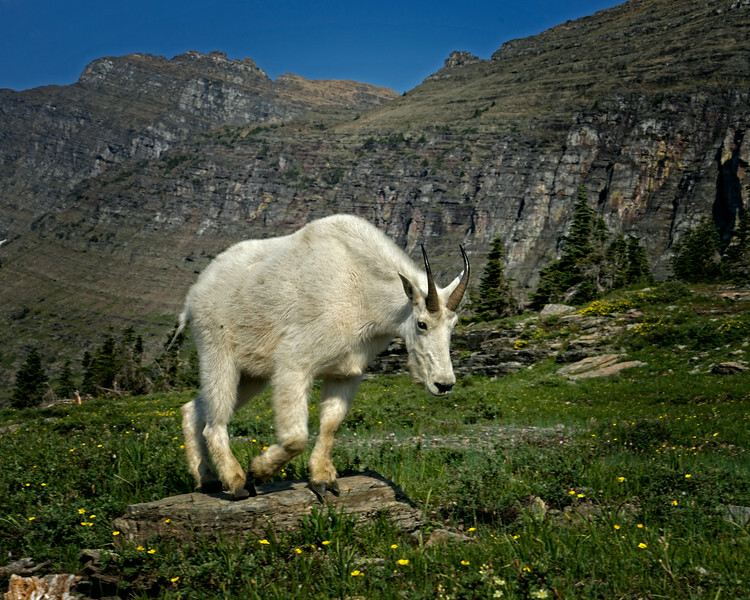 The Hidden Lake trail at Logan Pass in Glacier National Park is a good place to view Mountain Goats. 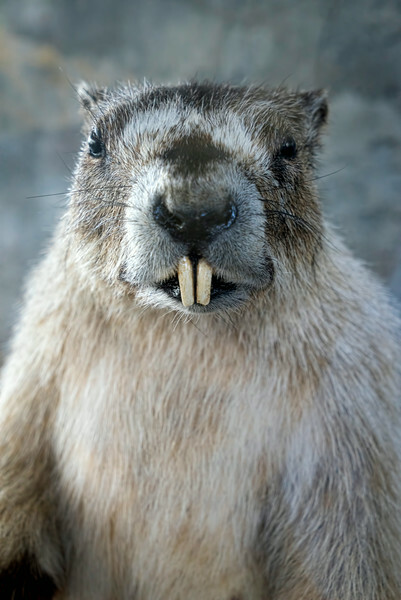 This guy is stuffed and in a case at the Logan Pass Visitor's Center! Couldn't resist. 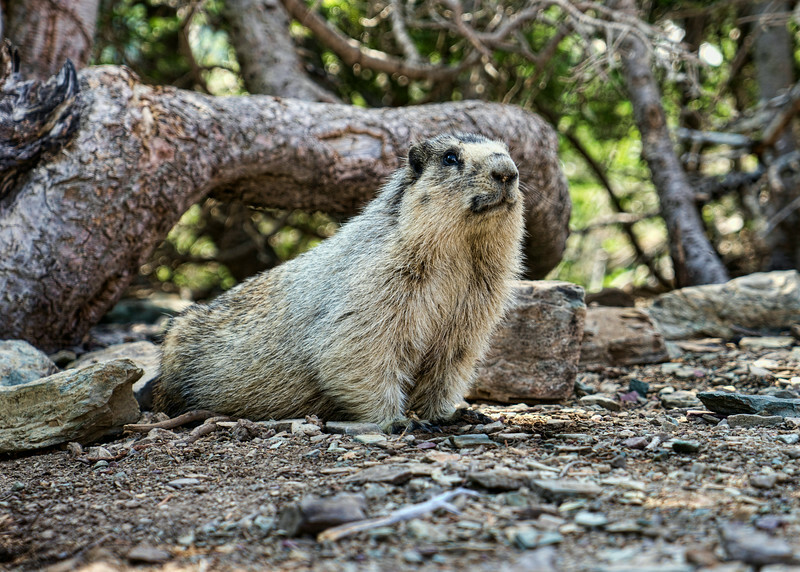 Hoary MarmotMarmotstuffed animaltaxidermyGlacier National ParkLogan Pass. 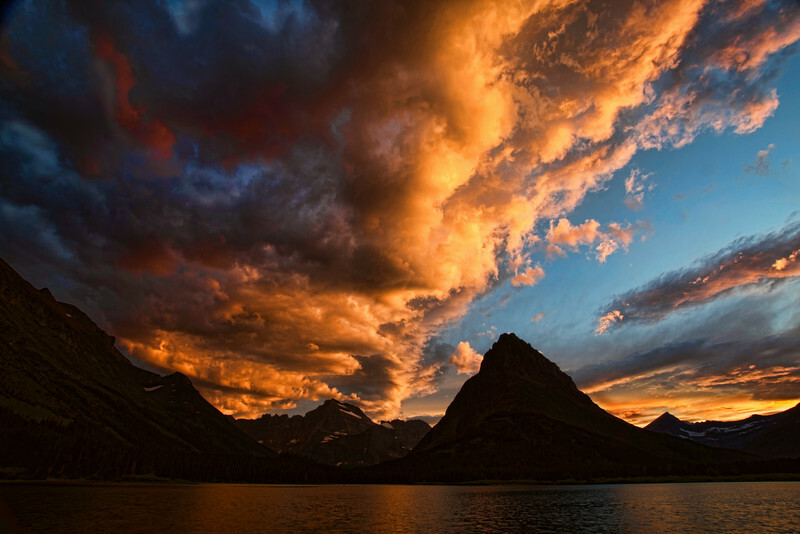 Grinnell Point is silhoutted against the sunset at Swiftcurrent Lake in the Many Glacier area of Glacier National Park. A female Ptarmigan in summer plumage at Grinnell Glacier in Glacier National Park, Montana. 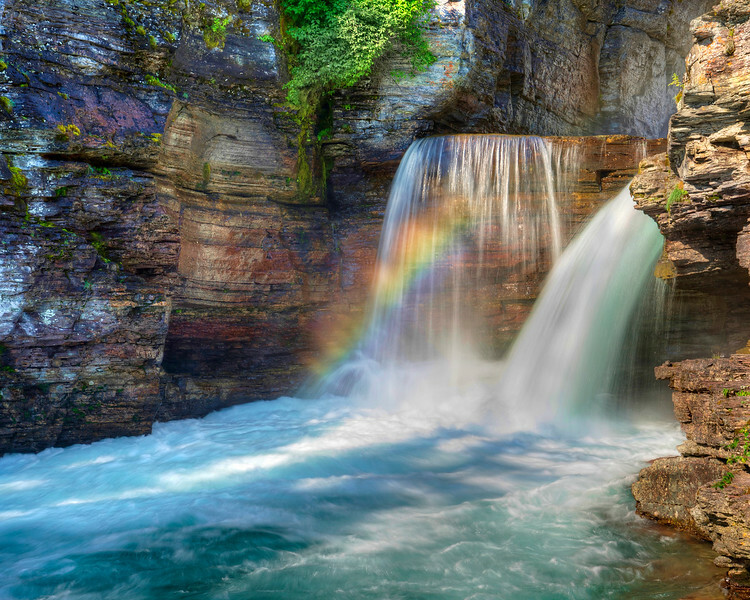 A morning waterfall showed up as I was photographing St. Mary Falls in Glacier National Park. 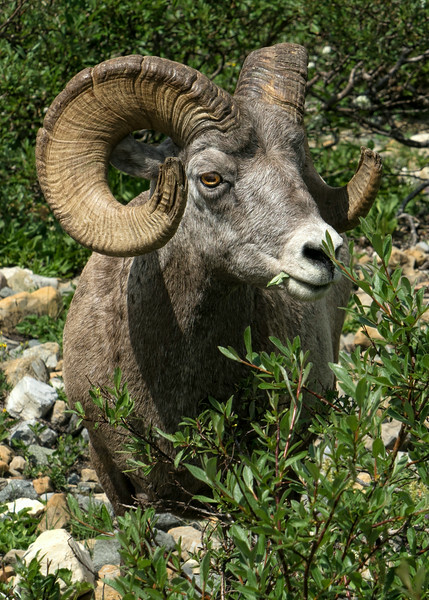 This Ram was on the trail to Grinnell Glacier in Glacier National Park. His horns showed some wear and tear! The sun just hitting the peaks of Mt Wilbur (right) and Mt Henkel (left) . 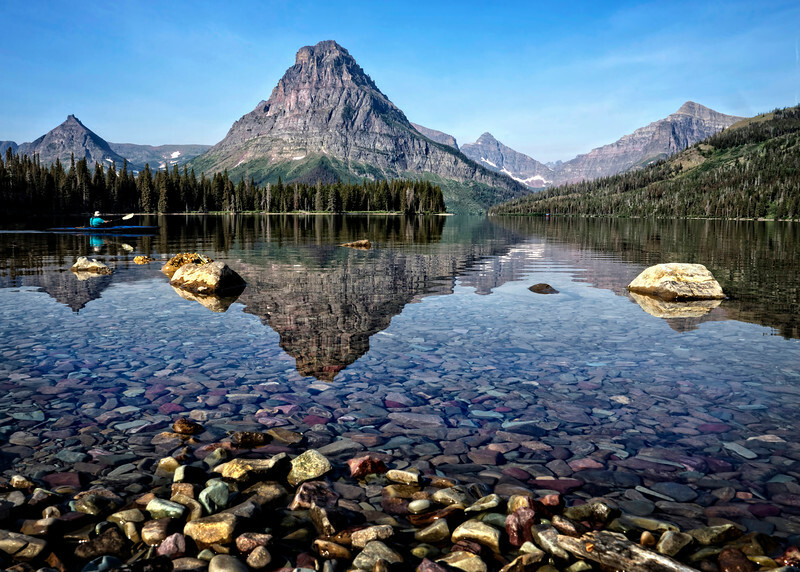 Photo was taken along the shore of Switcurrent Lake down from the Many Glacier Hotel in Glacier National Park, Montana. The entire hike to Iceberg Lake in Glacier Naitonal Park is beautiful, and this is the prize at the end. Even in early August there were icebergs in the lake. 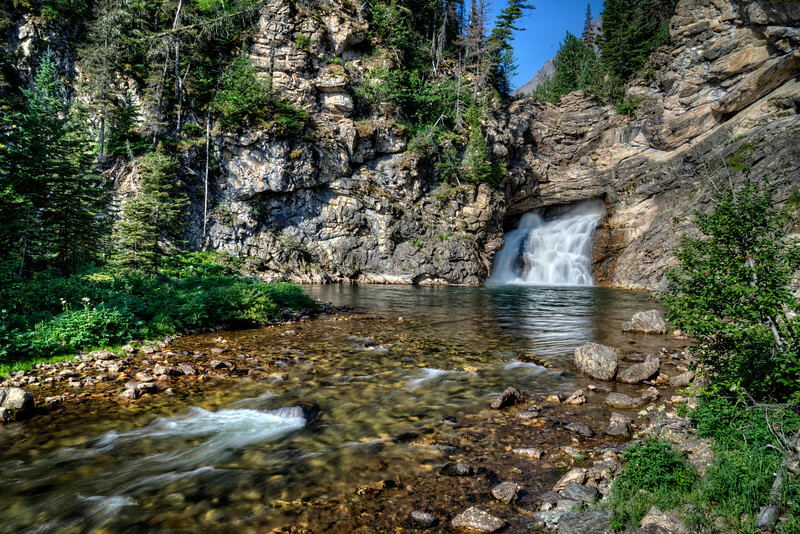 In the Many Glacier area of Glacier National Park. 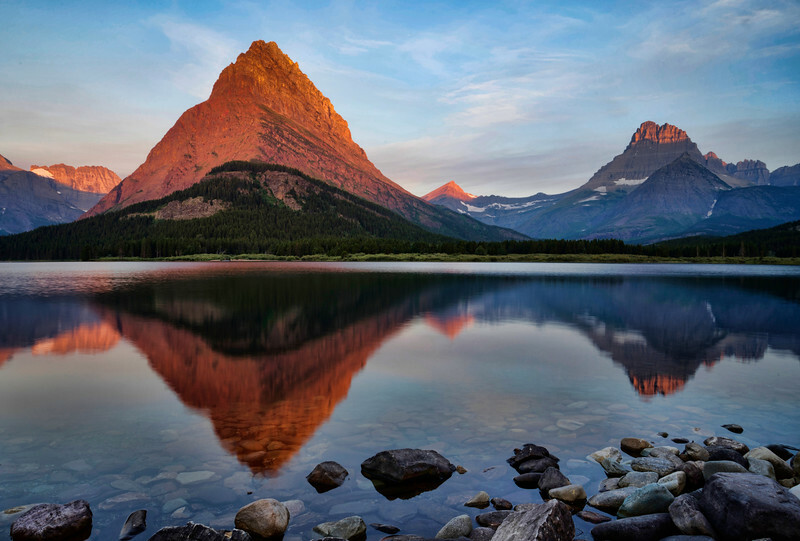 The sun hits the peaks of Grinnell Point, Mt. Gould and Mt. Wilbur and reflects in the Swiftcurrent Lake. Many Glacier area of Glacier National Park. 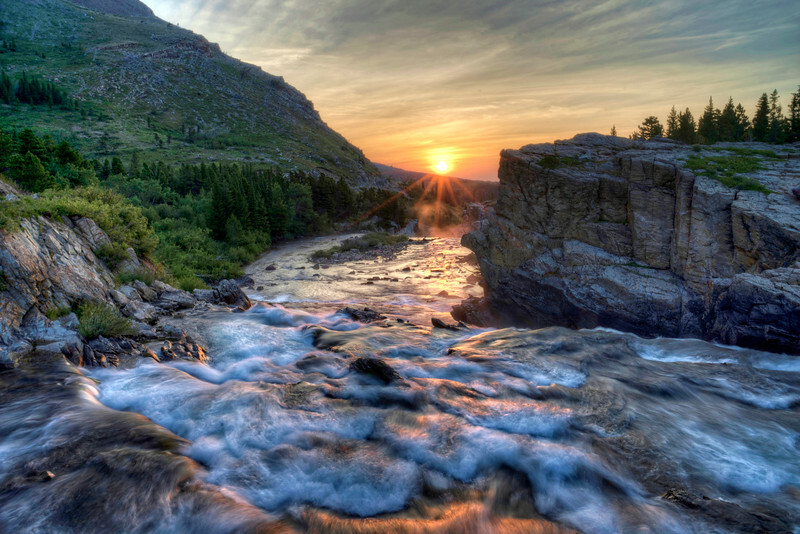 SunriseSwiftcurrent LakeGrinnell PointMt. GouldMt. 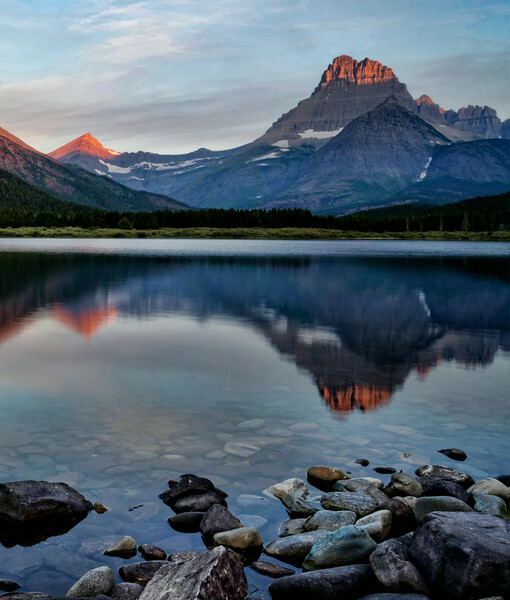 Wilburalpenglowreflectionlake reflectionGlacier National ParkMontanalandscapenature.